If you get decent traffic and CTR, it means there is a market and it likes your USP. 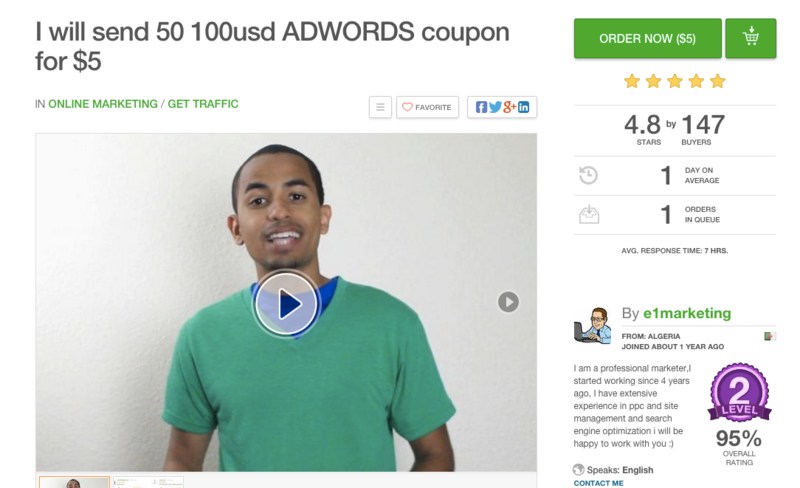 Now your job is convert that traffic into sales and email subscribers. If you make a sale, you got something worth doing more work. If you get no sale you will need to further analyse things. Q: What’s a good way to gauge if a niche is profitable? That is a hard question. It’s easier to make fat margins with low competition, but it may also mean there is no market. My take on this is to try as much ideas as possible to see what works. Try to find an empty spot where you can come in with a unique sales pitch, then test it on adwords to see if you can drive traffic. Then try to convert the traffic, then get suppliers. Rinse and repeat until you got something good going. I personally tried dozens of really tiny niches before finding a handful of good ones. Out of these, only two are really good steady cashcows. The rest make a few hundreds dollar per month in profit. Q: What do you mean by convert the traffic? It means to cause traffic (visitors to your site) to take a specific action like placing an order or subscribing to your mailing list. For example, when selling trailer hitches, my conversion rate hovered between 1% and 2%. This means that for 100 visitors, I would get one or two sales on average. My average order value was $168 with margins around 30%. This meant I had about $50 of margin per sale (168 * 0.3 = $50.4). 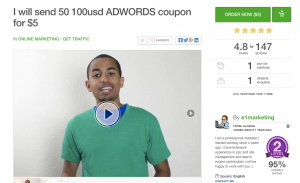 To make money out of adwords I needed to convert the traffic well enough that it cost less than $50 per sale. At the beginning my adwords cost per sale was around $20, leaving me with a sweet $30 of profit. As time went on, more competitors came in causing the conversion rate to slip lower and lower until It reached a point where It cost more in ad spending than I was making in margins. At that point there was no profit in advertizing on adwords. This is a really simplified explanation to show the relation between traffic, conversion rate, margins and profit. Q: What is your process for finding and testing a niche? Do you find a product and create a USP, or do you search for a USP and find a product that fits? My best success come from buying frustration. Ex: I’m searching for something but getting what I want requires too much googling. This means there is room for someone geared for solving my exact problem on adwords. So USP first, then i figure how to make it happen. Good areas for small profitable niches are: new growing hobbies, foreign languages products, country specific products, location specific things, job specific things. This is sort of a 2 parter. To save myself the trouble, would it be better structure my business as incorp from the very beginning? That said, I’d like to open many different dropshipping ecom stores, but I don’t want to have to register a new company for each store. That would seem both costly and time inefficient… Is this possible? First I am not a lawyer. This is not legal advice, it’s just my philosophy. I suggest you do not get incorporated, do not spend any money on lawyers or accountants until you have sold a significant amount of money on your first project. Money and time is limited. There is no point in spending efforts on paperwork until you actually have something going on for real. The first goal is figuring out how to sell something profitably. This is hard. You will probably fail a couple of time until you strike gold on some kind of microniche that delivers steady profitable sales. Once this happens you can think of incorporating, investing in design, etc. Corporations in theory protects you by limiting your liability to the assets of the corporation. In practice however every one you will be signing contracts with will require a personal guarantee from the owners. This nullify the main advantage. It does protect you from customers. However as a drop shipper your responsibility is very limited if you sell non-dangerous stuff. (remember I’m not a lawyer, this may be different in your local jurisdiction). You can run all your business thru a single corporation. All you need is to put the corporation name and address on all the invoices, site footers, etc. Also, it may be wise to keep all the domains under your personal name( use privacy protection). This way if your corporation ever goes bankrupt, you can keep the domain names and just run the sites under a new corp.
To begin I would simply register a business name under a sole proprietorship. This is usually very simple and cheap. Once you are confident you got something going you look into incorporating, liability insurance, etc. This is not standard business advice. If you have significant assets to protect it might be wise to incorporate right now, involve a lawyer, etc. That’s some great general advice, and paints a clearer picture.